Our Brokers at Kittrell and Armstrong work together as a collective team for the benefit of our clients to ensure they receive the best representation possible. At our firm, you will not just have one agent working for you, you have the entire team! Kittrell & Armstrong, LLC is a full service commercial brokerage firm; offering buyer and seller representation, landlord and tenant representation, office building sales and leases, land acquisitions and sales, industrial sales and leases, build-to-suit, 1031 tax deferred exchanges, and consulting services. Our combined experience of over one hundred years allows us to meet the challenges of even the most complicated transactions for our clients. Whether buying, selling or leasing, you can feel confident in knowing you have a team of experts to advise and guide you. Our property listings receive national exposure. Not only do we market our listings on the most widely used commercial listing services, we also have a database of national brokers that will personally receive our marketing package for your property. Bryant Kittrell & Stan Armstrong formed a partnership in September, 2003 to provide commercial real estate services to eastern North Carolina. Tommy Stoughton joined the firm as partner in 2013. Tommy has been managing and developing commercial real estate projects in eastern North Carolina since the early 1990's. On a local level, Kittrell and Armstrong is committed to and involved in the community. Stan and Bryant were honored to receive the 2009 Greenville-Pitt County Small Business Leader of the Year award. Kittrell and Armstrong supports numerous local charitable organizations and the members of our team have served on a number of local Boards over the years. Stan Armstrong holds a Bachelor of Science degree in chemistry from Wake Forest University, Winston-Salem, North Carolina. His industrial experience began with E.I. DuPont Company, where he held titles that included chemist, supervisor, marketing manager, occupational health specialist and assistant medical director during his six-year tenure. 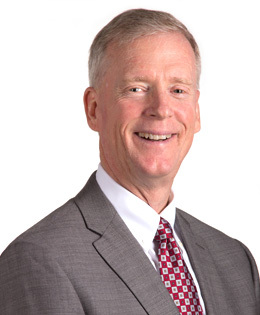 Since founding The Armstrong Company in 2000, and joining Kittrell and Armstrong in 2003, he has focused on investment transactions, commercial and industrial sales, land sales and 1031 tax free exchanges. Stan also offers consulting and advisory services. Stan is past Chair of the International Activities Committee of CCIM and is on the International Member Group Committee for SIOR. Stan has served on the Board of Directors of the Pitt County Committee of 100 and is a past President of the Greenville Evening Rotary Club.